Bryan & Katie Torwalt are an American Christian husband-and-wife music duo and worship pastors at The River Church in Fresno, California. 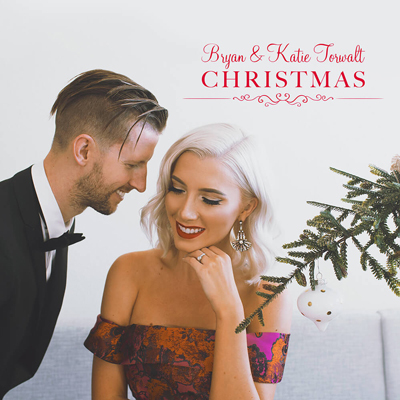 Bryan Torwalt, or Bryan James Torwalt, born on January 14, 1985 in Canada, is a singer-songwriter, guitarist, and half of the Bryan & Katie Torwalt duo. Katie Torwalt, born Katelin Michelle Horn on August 14, 1988, in Sonoma, California, is a singer-songwriter and half of the Bryan & Katie Torwalt duo. For the official website, see Bryan & Katie Torwalt. Bryan & Katie Torwalt met in 2006 at the Bethel School of Supernatural Worship in Redding, California, eventually got married in 2009 and became worship pastors together. Bryan & Katie Torwalt joined Jesus Culture Music in the fall of 2010 as they began working on their debut album, “Here On Earth,” released on September 13, 2011. Go to Bryan & Katie Torwalt Songs.